1 Do your Know Your Tomato Lingo? 2 Tomato Terminology Made Easy! Do your Know Your Tomato Lingo? This is basically a Glossary of tomato terms to be aware of when you are growing tomatoes. So you have decided to grow your own tomatoes. It sounds easy enough. All you need is seeds, soil, water, and sun. A snap – Right? It’s seems like that until you get to the nursery or seed store. You wander around aimlessly trying to find the best tomato seeds or plants but there are so many different varieties to choose from. Now what? You finally decide to ask for HELP. Ahhhh, the kind sales person approaches and starts rattling off all these different kinds of tomatoes along with tomato growing words that you’ve never heard of. You are thinking, really all I want is to sink my teeth into a juicy red tomato that came off my own tomato plant. 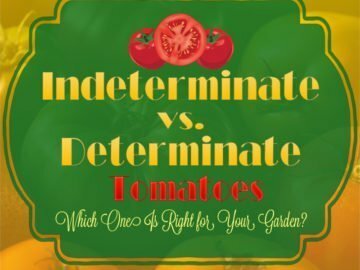 What in the world is the difference between a Determinate or Indeterminate tomato plant? 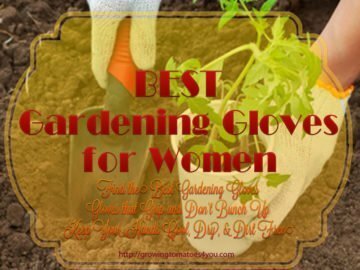 The sales person asks, “are you looking for hybrid tomatoes or heirloom?” What at first seemed like a simple task on the way to an uncomplicated journey, to a mouth watering tomato straight off the vine, has now turned into a degree in agriculture. Really, it’s not difficult. It is just like any new hobby or adventure, all you need to do is learn the tomato growing lingo. 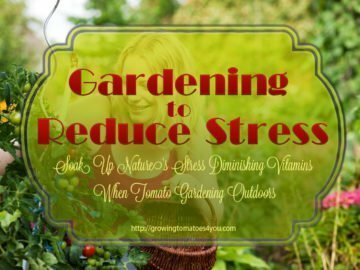 Below you will see that I’ve put together a list of tomato growing terms to provide you with helpful information so that find the most suitable varieties of tomatoes for your garden needs. I’ll be updating the list when needed. So be sure to visit often. This glossary will hopefully help you fully understand tomato terminology and language associated with growing tomatoes. The list is set up in alphabetical order so that you can easily find what you are after. On a final note, please feel free to contact me if there is a specific term you would like to see in this tomato terminology glossary. Beefsteak is a term used to identify a specific type of tomato rather than just a variety (however there actually is a specific variety of tomatoes that is named ‘Beefsteak.’) The Beefsteak tomato is normally seen as a particularly large, irregular shaped tomato with solid flesh. You might be surprised but some beefsteak tomatoes will weigh in at a pound or more. Beefsteak tomatoes are favoured by home gardeners because of their size especially if you enjoy using them on sandwiches. Blight is a disease that attacks tomato plants affecting the stems, leaves, and fruit. Early Blight: Is a fungus that is a problem in spring and summer rains. This fungus is usually found in that are moist and not usually found in arid dry areas.Appears first as irregular small brown dead spots on the older lower leaves. As the early blight spot grows to half an inch it displays in a pattern like a “bulls-eye”. The leaf may then turn yellow. If the tomato plant is affected by blight as the fruit begins, then the older fruit will show sunken dark leathery spots. Late Blight: Is a fungus that affects tomato plants when there is an extended period of damp weather and cool nights that come with warm muggy days. The fungus can be identified as black greasy areas on the tomato leaves. The under side of the tomato leaf will show a fine gray mold. This generally happens in wet spells. Hot dry weather will prevent or stop this late blight fungus. Cherry Tomato is a term that is used to classify tomato varieties that focuse on the shape and size of the tomatoes fruit. Cherry tomatoes are considered to be the smallest tomato of all the varieties. Their size typically ranges from a small marble to the size of a golfball. They are very sweet and are used in salads,sauce, roasted, or just as they are straight off the vine. Cotyledon: These are the first leaves the come from the tomato seed. Crack Resistant is a term used for a characteristic associated with a tomato variety that naturally resists breaks in the skin. These breaks are occasionally referred to as “growth cracks.” Cracks are typically attributed to inconsistent or extremely excessive rain. Cultivar is a certain tomato type. The word “cultivar” is most often interchangeable with the words “strain” and “variety”. A cultivar is a specific tomato type that is “cultivated” by being propagated by dividing, or from a cutting, or by replanting. However, a tomato variety is a specific tomato plant that has been grown from seed. Now the term “strain” is basically a specific kinds of tomato which has exhibited specialized characteristics and subsequently improved or developed for that specific characteristic. 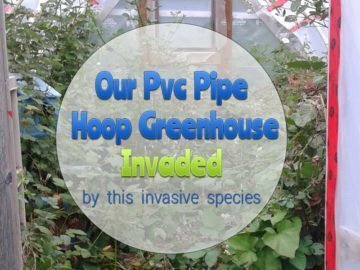 Determinate – the term determinate is used to identify tomato plants that produce fruit for harvest for only a very short time – about a week to ten days. As the plant grows and the terminal buds set their fruit, the tomato plants growth stops.Determinate tomato plants need very little staking or none at all. Globe tomato: This term describe a round uniformly shaped tomato. Globe tomatoes are sometimes called slicing tomatoes. Globe tomatoes are very popular as a commercially grown tomato. Commercial Heirlooms: These commercial heirlooms were introduced prior to 1940 and are open-pollinated varieties. Family Heirlooms: These are tomato seeds that have been handed down for many generations through a family. Created Heirlooms: These created heirlooms refer to two crossed varieties that have been bred multiple times to stabilize desired characteristics and eliminate undesirable characteristics. Mystery Heirlooms: These are heirloom varieties which happen to be a new product of natural cross-pollination of various other heirloom varieties. *Note: All heirloom tomato varieties are open-pollinated. However, not all open-pollinated varieties are heirloom varieties. Hybrid tomato plant varieties are intentionally bred as a cross in between 2 uniquely different varieties, quite often to cultivate specialized characteristics. Indeterminate – This term is used to describe Tomato Plants that will continuously keep growing and producing new blossoms even after the fruit has set. Tomatoes harvest may last for several months, while producing fruit throughout the season. Indeterminate tomato plants usually need staking as they set only lateral flower clusters. Locules is the term given to the chambers inside the fruit of the tomato that holds the seeds inside a jelly-like substance. Most tomato fruits have 2 or more chambers. Large tomato fruited varieties can have as many as 10 chambers. The tomato plant other wise known in the botanical classification world as Lycopersicon esculentum which is the genus and species name for Tomato Plant. *Note: All plants are classified by a genus and species name. These botanical names are always indicated by italics. The term maturity is used to define the total number of days from transplanting the tomato seedlings in there permanent place in the garden to when its first mature fruit arrives. Late season tomato varieties in 80 days or more. Oblate tomato: This term refers to a slightly flattened round shaped tomato. Open-pollinated – This term is used to describe tomato seeds that are produced from open-pollinated varieties. Open- pollination produces plants and tomato fruit that are an identical duplicate of their parent. *Note: (All heirloom tomato varieties are open-pollinated. The term Plum tomato is applied to tomatoes that focus on the shape and size of the tomato fruit. Plum tomatoes are small-sized to medium-sized, cylindrical or oval in shape, have a thick-wall,and also have fewer seed chambers. Plum tomatoes are often times called Roma tomatoes or paste tomatoes. Pollination: the method wherein pollen grains are transferred in tomato plants for fertilization. Pollen grains are let go and released by the flower’s anther and fall down to the stigma, usually inside of the same flower. The term potato-leaf refers to tomato plant foliage that don’t have the indentations on the leaf margins.The foliage appears quite similar to the leaves of potato plants. Oxheart tomato is the term used to describe a type of heirloom tomato that has large heart-shaped tomatoes. Regular-leaf is the term used to describe the foliage of a tomato plant that has indentations on the leaf margins. The term semi-determinate tomato plant refers to tomato plants that are than the(bush type) determinate tomato plant but on the other hand smaller than the Indeterminate tomato plants.These semi-determinate tomato plants are short-fined tomato plants that normally require staking. Unlike determinate (bush type) tomato plants, semi-determinate will continue to and produce tomatoes throughout the season. Widely-adapted – This term is used when referring to a variety that has adapted to growing well in several growing zones. 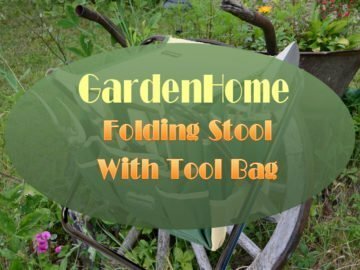 More Tomato Growing Info, Faq, and Fun! 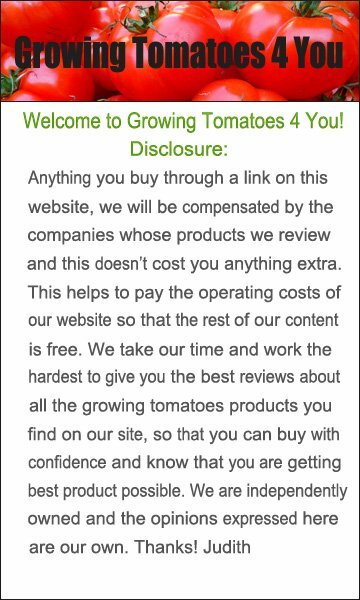 If you want more information on growing tomatoes.